Emails started flying around town yesterday that new parking enforcement in Wailuku Town was imminent, and it looks like the stories were true. As you can see from these photos, which were taken on the morning of Tuesday, Feb. 17, the Maui PD is once again chalking cars and enforcing Wailuku two-hour parking restrictions. 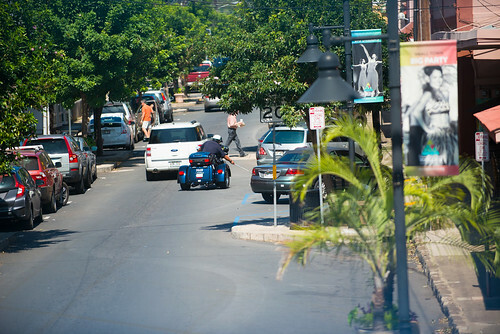 Since MPD Officer Keith Taguma retired at the end of 2014, Wailuku has been enjoying a kind of golden age of free parking, but now it seems that those days are over. 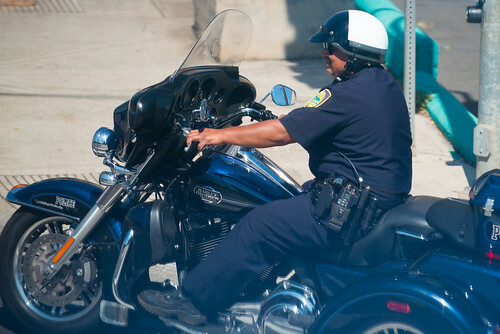 People working in and visiting Wailuku should probably start setting those two-hour alarms again, though only time will tell if the new enforcement is as relentless as that provided by Taguma, who wrote, on average, 7,000 tickets a year. Click here for our recent story on how the County of Maui is preparing to install parking meters in Wailuku Town.